You may have heard investing in real estate can be a smart financial move. Buying and selling property is a popular investment these days, and for good reason. Every day people are starting and growing wholesale real estate businesses across the Chicago area. Purchasing real estate wholesale to sell to property flippers is a great opportunity for first-time investors because it doesn’t require a lot of experience or capital. The process of wholesaling can be profitable if you know the pitfalls and hazards upfront and with the right legal tools in your toolbox. Wholesalers buy properties in need of repairs and then quickly sell them to investors who will flip the property for an even greater profit. Essentially, wholesalers assign the contract to purchse to the ultimate purchaser. Wholesalers make their $5,000-$20,000 on assigning the contract and then exit the deal. When wholesaling is done right, everybody wins: the property seller, the wholesaler, and the investor. Many real estate investment companies advertise wholesaling as a quick, easy, and safe way to earn money. While wholesaling can be less costly than other real estate investments, it is important to know what exactly is involved in growing your wholesaling business. As with any real estate transaction, wholesaling can be risky. However, with the help of an experienced Chicago real estate attorney, you can minimize that risk and maximize your profits. Many people think wholesaling real estate is the same as flipping property. While wholesaling and flipping are similar -- and wholesalers often work hand-in-hand with property flippers -- there are some significant differences between the two. Wholesalers will buy a property with the intention of selling it very quickly, or assigning the contract before closing, to an investor. Often, that investor may be a property flipper. People who flip properties will purchase the home, make needed repairs, and then sell the newly renovated property to a private buyer for profit. The goal of flipping is to actually fix up a distressed property and then sell it to an individual buyer. When wholesaling, on the other hand, the goal is to purchase a property and then quickly sell it to another investor. Purchasing your first real estate property can be exciting and a little intimidating. Wholesalers have a number of strategic options to choose from when purchasing property. Some wholesalers will buy a property outright for a low cost and then sell it at a profit to an investor. Many wholesalers, especially first-time wholesalers, may not have the capital to do that. Instead, they will go through with a dry closing that allows them to delay the disbursement of funds until after the closing date. Other wholesalers will pursue a back-to-back or double closing where they simultaneously close on the property and then sell it to an investor. To learn more about dry closings, double closings, and the mythical “double dry closing,” check out our blog post. Regardless of the type of purchase, wholesalers depend on contracts to make these deals happen. The type of closing will dictate whether a wholesaler needs to have contingencies in the contract regarding transactional funding or other clauses that can protect them from risk. Purchasing a property is the first step toward having a profitable wholesaling business. Not sure which closing option is right for you? Enterprise Esquire has over 15 years of experience in the real estate investment business, and we are happy to offer you a free 15 minute phone consultation to talk through your options. Click here to schedule an appointment. Wholesalers rely on being able to quickly buy and sell properties so that their capital doesn’t remain tied into a single property for too long. It is very important to create your own network of investors and buyers who are willing and able to work with you. Often, first-time wholesalers try to work solely with real estate brokers because they think brokers bring a level of much-needed expertise to the deal. However, many brokers do not want to work with wholesalers because of the number of contracts they have to write before a deal actually goes through. If you depend solely on brokers, you may be waiting a long time to sell the property you purchased. The good news is that you do not have to depend on brokers to grow your wholesaling business. There are better partners out there for you! Building your own network of investors and private buyers is key to having a profitable wholesaling business. Tapping into your network, instead of relying on a broker, gives you more control over your business. You get to choose the partners you work with, instead of having to trust the broker is finding the best investors out there. Having your own stock pile of cash buyers (private investors and developers) means that you can have a buyer on hand to quickly purchase a property or to assign the sale contract to. Additionally, building and maintaining your own network of investors will help you learn about your market faster because you’re working directly with your own customers. Your investor network can also give you a better sense of what deals are actually worth, which is usually less than as advertised by the seller. As the market shifts, your investors can also tell you directly what they’re looking for in a property, so you can better tailor your deals to meet their needs. Wholesaling is a business that depends on contracts. Wholesalers need to have contracts with property sellers and with their investors to grow their businesses. It is vital that your contracts are tailored to your needs as a wholesaler. Many wholesalers depend on contingency clauses in purchase contracts that will allow them to avoid closing if their transactional funding falls through. Having strong, clear contingency clauses in your contract can really protect you and your capital. Tailoring your contract is just one way a real estate lawyer can help you. Your attorney can also guide you through other potential legal pitfalls, provide you with actionable advice on growing your wholesaling business, and save you time so that you can focus on your profits. Many first-time wholesalers don’t realize how many contracts they have to write before getting their first offer from an investor. Wholesaling can be profitable, but it can also take a lot of work to build your investor network and complete your first deal. This process can be both daunting and exhausting, but you don’t have to go through it alone. Alexis Hart McDowell is an experienced real estate and business attorney who can guide you through the process. 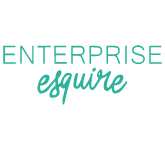 Enterprise Esquire offers wholesaler packages with options for budget-conscious beginners and for experienced pros. These packages include legal consultations, written contracts, and other options that are designed to help you mitigate risk while growing your real estate business. Read more about our wholesaling and business formation packages here. Then, contact us to schedule a consultation to learn how we can help you!